If the Division of Child Protection and Permanency (DCP&P), formerly known as the Division of Youth and Family Services (“DYFS”), files a complaint for care and supervision, custody, or guardianship against you, the case will be heard in the New Jersey Superior Court, Chancery Division, Family Part by a Family Court judge. Usually, the DCP&P local office handling your case will file the complaint in the county in which your family resides. Thus, if you get served by DCP&P with a Notice of Emergency Removal or Order to Show Cause for care and supervision, custody, or guardianship, you should familiarize yourself with the Superior Court in your county. In addition, you shouldn’t hesitate to consult with an experienced DCP&P defense attorney at the Tormey Law Firm who is familiar with all aspects of DYFS litigation. During DCP&P litigation in New Jersey Superior Court, a Deputy Attorney General will represent DCP&P and your children will have their own lawyer from the Office of the Public Defender’s Office of the Law Guardian. 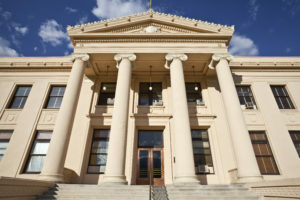 As a parent named as the defendant on a complaint for care and supervision, custody, or guardianship, you are entitled to have an attorney represent you and if you cannot afford an attorney, the Court will appoint you an attorney from the Public Defender’s Office of Parental Representation. If you do not qualify for a public defender, then the options are to represent yourself, pro se, or hire a private attorney. Bear in mind, the stakes are extremely high in DCP&P litigation because if after a certain period of time the court does not return your children, the Division must apply to terminate your parental rights if no other viable permanency plan is available. If you are dealing with a DCP&P court case, the knowledgeable DYFS defense lawyers at the Tormey Law Firm are ready to fight for you to not only get your children back but also get the Division out of your life.